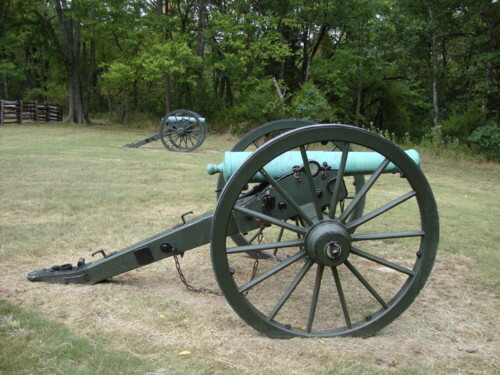 Last week, I posted a blog about Pea Ridge Battlefield in Arkansas. This was a pivotal battle in the Civil War, because the Confederate loss secured the state of Missouri for the Union army later on. As promised, I am posting pictures of the battlefield, including the Elkhorn Tavern, where major fighting took place on March 8, 1862. Enjoy! Over the weekend, my husband and I traveled to Eureka Springs, Arkansas. This happened after we had to change our plans. Our original destination was Destin, Florida, but because of the tropical storm, we wisely decided that going north would be more fun. 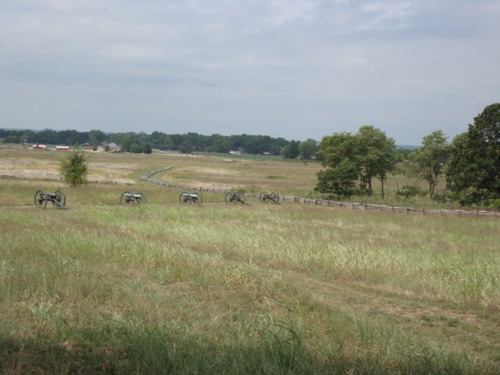 In the process, we discovered a Civil War battlefield that we hadn’t seen before. 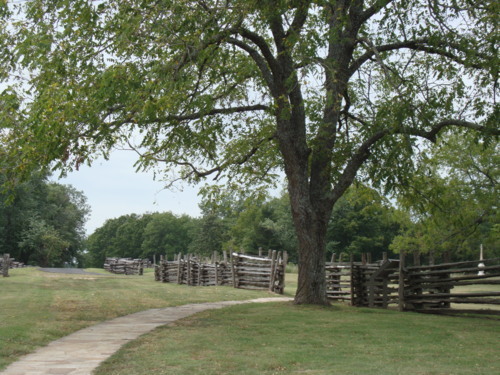 The Battle of Pea Ridge took place early on in the war, March 7-8, 1862, and was instigated by Union General Samuel Curtis, who thought that waging a winter battle would disable the Confederates. The battle was one of the few where Confederate forces outnumbered Union troops, and where Cherokee Indians fought (on the Rebel side). Fortunately for Curtis, his opponent was General Earl Van Dorn, who was more concerned with glorifying himself than looking after his soldiers. 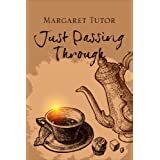 Van Dorn had his troops leave behind essential food, water, and ammunition, and march 60 miles, in three days, in the cold, which most were unaccustomed to. In an attempt to flank the Yankees, Van Dorn was surprised when another division of artillery attacked. He was forced to retreat. 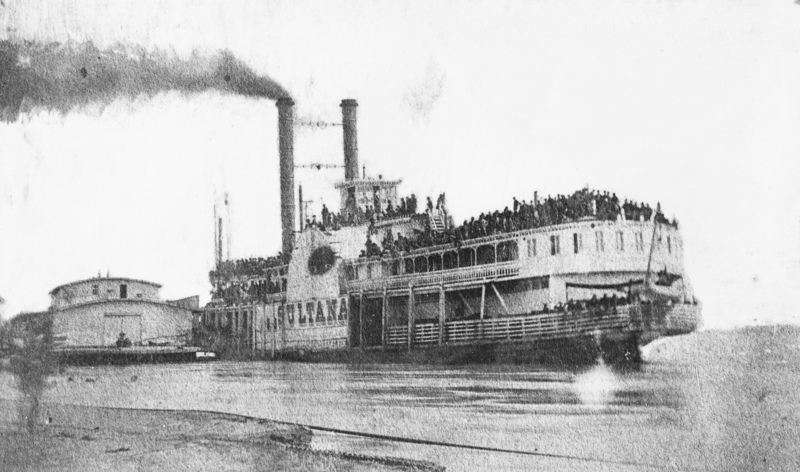 This resulted in a Union victory, and allowed the Yankees to secure Missouri. Van Dorn lost 3000 on the march, and 1400 in the battle. 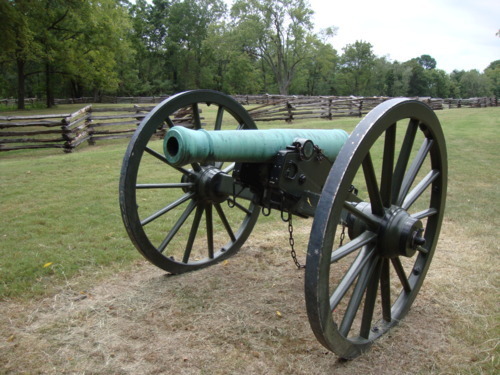 Next year will be the 150th anniversary of the battle, and the National Park Service is preparing for the event. Normally, Pea Ridge reenactments attract about 200 participants, but next year promises to be much larger. 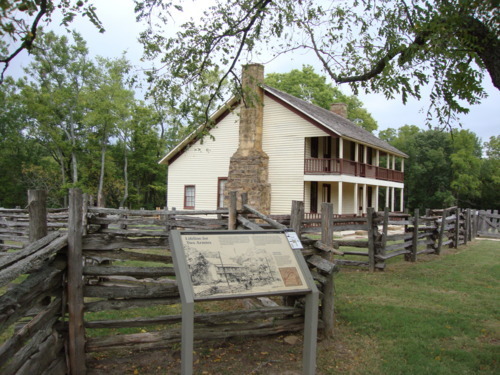 The battlefield is beautifully maintained, and the highlight is the Elkhorn Tavern. Even though the present building is a reproduction of the original, it is attached to the original chimneys, and stands on the original foundation. 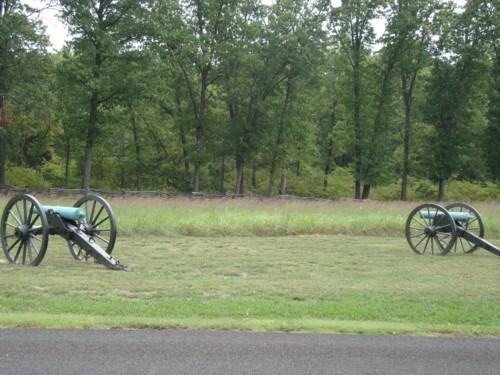 The battlefield is located near Garfield, Arkansas.